How you feel about your smile’s appearance really matters. Missing teeth and ill-fitting dentures can lead to feelings of self-consciousness, physical discomfort, and other insecurities when eating and speaking. This, in turn, can have a crippling effect on mood, interpersonal relationships, and overall health. At Dr. Scott Wagner’s Jacksonville dental office, we don’t want any patient to feel that way. If you have missing teeth or a pair of dentures that don't fit properly, we can transform your smile and your life with Fountain of Youth Dentures™. What Sets Fountain of Youth Dentures™ Apart from Other Types of Dentures? Fountain of Youth Dentures™ fall into the latter category, meaning that they require more experience and training than what you may find at the average dental office. If you’re looking for a dentist with unparalleled expertise combined with an artistic touch, look no further than Dr. Wagner and our Jacksonville Beach team. We have the training and skills necessary to provide patients with what they’ve been missing for too long—a comfortable, close-fitting smile that boosts confidence and actually eases the appearance of aging. 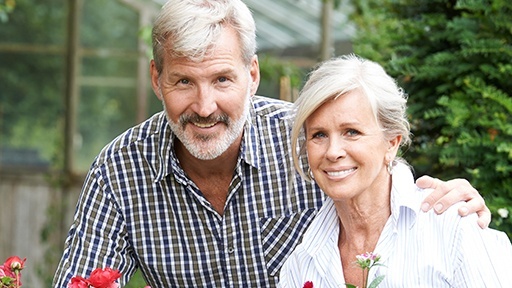 The reason Fountain of Youth Dentures™ are able to work so well is that Dr. Wagner spends a lot of time identifying the patient’s ideal bite position. Once this is known, then we can begin designing how your dentures will fit. An important aspect of this process is creating a design that effectively complements the amount of bone you have. A close fit is important for creating relaxed muscles that, as a result, lift the face, easing wrinkles and creating a youthful appearance. Patients who may benefit the most from Fountain of Youth Dentures™ are those who are considering dentures for the first time are dissatisfied with their current dentures, or who may not be a candidate for another tooth replacement option like dental implants. If you’re interested in learning more about Fountain of Youth Dentures™, Dr. Wagner would be happy to answer any questions you might have, in addition to recommending a plan that’s right for you. Call our Jacksonville office to schedule your consultation with us. *The Fountain of Youth Dentures™ services are in no way related to Dr. Sam Muslin’s exclusive Face Lift Dentistry® treatment.